The JAGUAR F-PACE was declared the 2017 World Car Design of the Year today at a press conference hosted by the New York International Auto Show, Bridgestone Corporation, and Autoneum. This is a second design award for Jaguar. The Jaguar F-Type previously won the World Car Design of the Year award in 2013. The World Car Design of the Year category, and the corresponding award, are meant to highlight new vehicles with innovation and style that push established boundaries. Candidates for the design award may be on the overall World Car of the Year list OR may be included as a stand-alone entry provided the vehicle is available in quantities of at least 10 in one major market during the period beginning January 1, 2016 and ending May 31, 2017. Candidates may be pre-production or all-new production. The 75 World Car Awards jurors then voted on the expert’s recommendations in February and their ballots were tabulated by the international accounting firm KPMG. Previous winners of the World Car Design of the Year award were the Mazda MX-5 (2016), the Citroen C4 Cactus (2015), the BMW i3 (2014), the Jaguar F-Type(2013) , the Range Rover Evoque (2012), the Aston Martin Rapide (2011), the Chevrolet Camaro (2010), the Fiat 500 (2009), the Audi R8 (2008), the Audi TT (2007) and the Citroen C4 (2006). 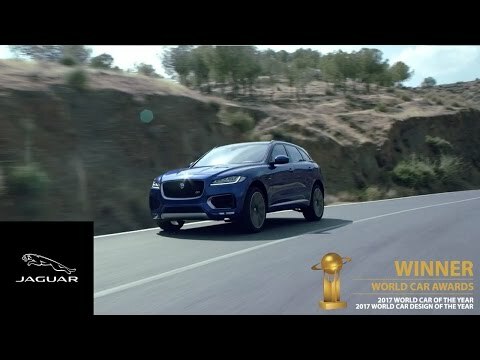 The Road to World Car began in Paris on September 29, was followed by test-drives in Los Angeles in November, continued in Geneva with the Top Three in the World announcement, and finally ended today with the declaration of the winners in six categories at the New York International Auto Show.